Tacos make people happy. They’re delicious, fun, easy to make, great for breakfast, lunch or dinner, and no one ever stops with just one. Of course, #TacoTuesday is a welcome time, but why wait for Tuesday to roll around? 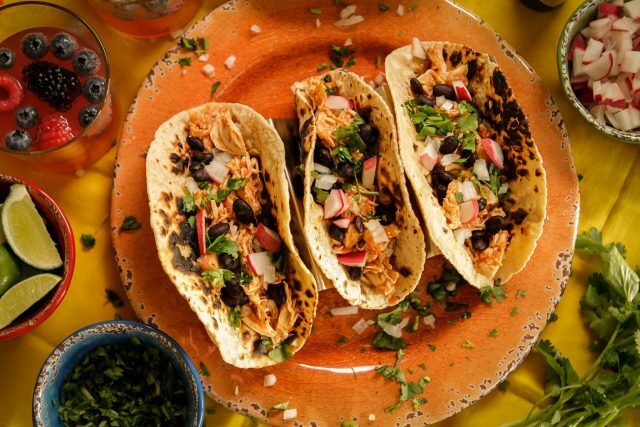 Here are 5 of our favorite ways to eat tacos any day of the week, with something for everyone — meat lovers, vegetarians and purists alike. 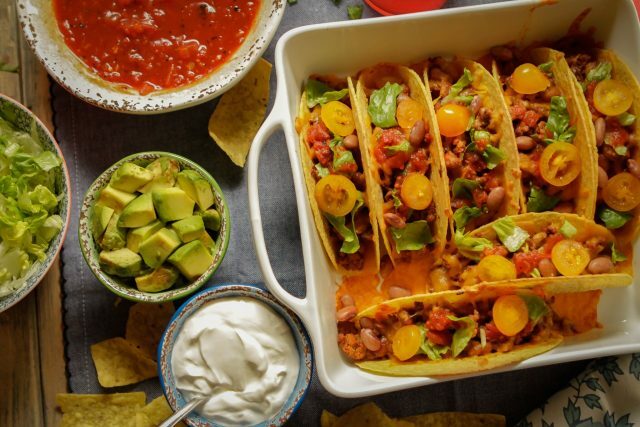 Starting with a simple, round warm tortilla (corn or flour), these tacos are meant to be filled with tasty ingredients, then folded and scarfed down. 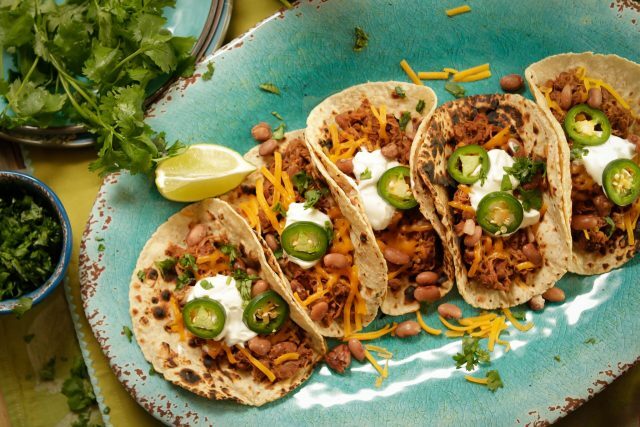 And since beans make any taco taste better, (not to mention adding both protein and fiber), you’ll find several varieties of beans generously sprinkled throughout the recipes below. There’s so much to love about this recipe. It’s simple, full of flavor, and everything gets cooked down to delectable perfection in a slow cooker. 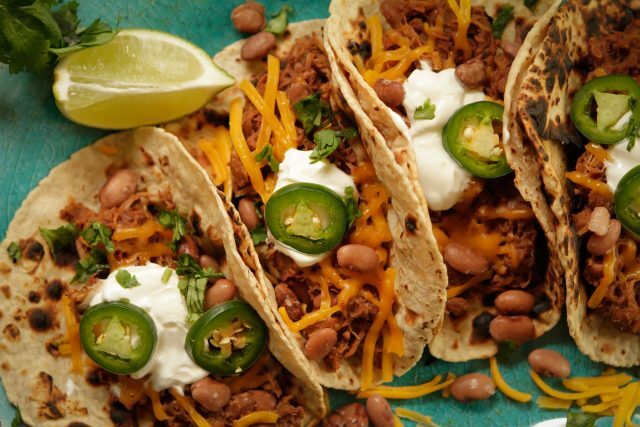 Pork shoulder, Camellia Brand Pinto Beans, fire-roasted tomatoes, garlic, onion, jalapenos and spices come together to create a terrific taco mixture. Pile onto warm tortillas, top to your liking and enjoy. This dish makes a wonderful weeknight meal since the slow cooker does all the work, but it’s also great on gameday. 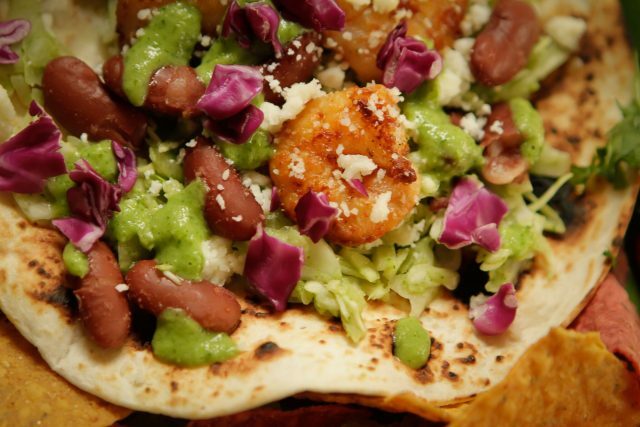 This combo takes our best Louisiana ingredients, adds a bit of Fresh Mex and rolls it all up for unforgettable flavor. And with Camellia Brand Red Kidney Beans cooked in advance, the recipe comes together quickly, too. 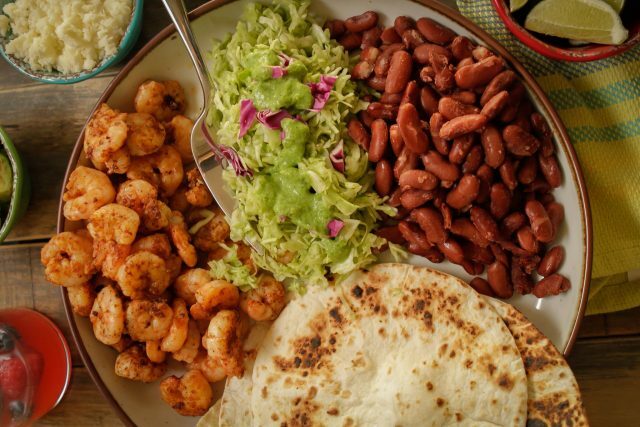 Shrimp covered in Creole seasoning are seared in a hot skillet, a lively coleslaw is tossed with a cilantro-lime dressing whirred in a blender, and they’re combined with tender red beans in a warm tortilla. Top with salty, crumbly Cotija cheese and more fresh cilantro, and you’re good to go. Originating in Puebla, Mexico, Chicken Tinga is a mouth-watering dish made of shredded chicken covered in a savory chipotle tomato sauce. And this recipe makes it as fast as it is flavorful — by cooking it in the Instant Pot. 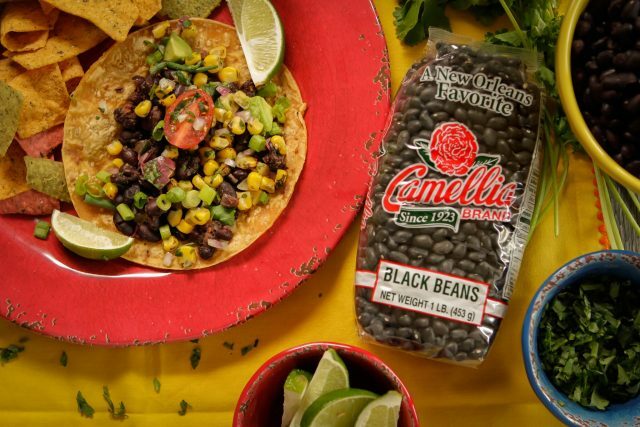 In fact, the Camellia Brand Black Beans are quickly cooked in the Instant Pot too, making the whole thing doable on a weeknight. 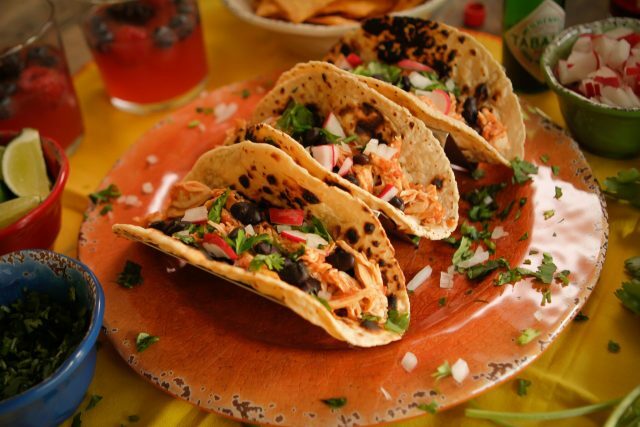 Of course, it’s so good, you might want to put it on the menu for a weekend taco get-together with friends. Chopped fresh cilantro, chopped white onion and chopped radishes are all that’s needed to make these tacos irresistible. 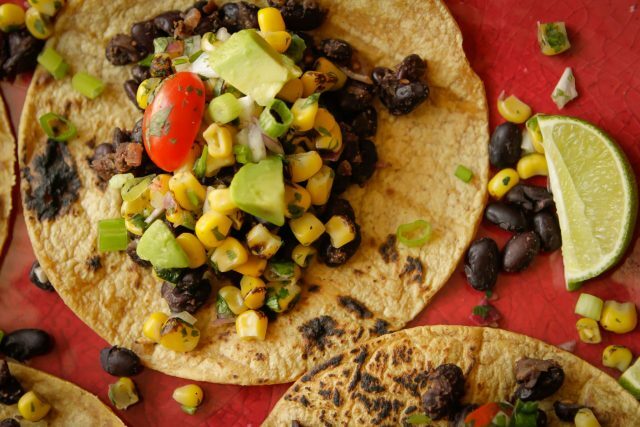 A great-tasting, colorful vegetarian recipe, this taco combo features cooked Camellia Brand Black Beans, roasted corn, red onion, cilantro, fresh lime juice and Jerk seasoning blend. A slew of toppings keep things fresh and add zing. Tasty alternative: for a totally different take on the flavor and some Louisiana lovin’, simply replace Creole seasoning with the Jerk seasoning. 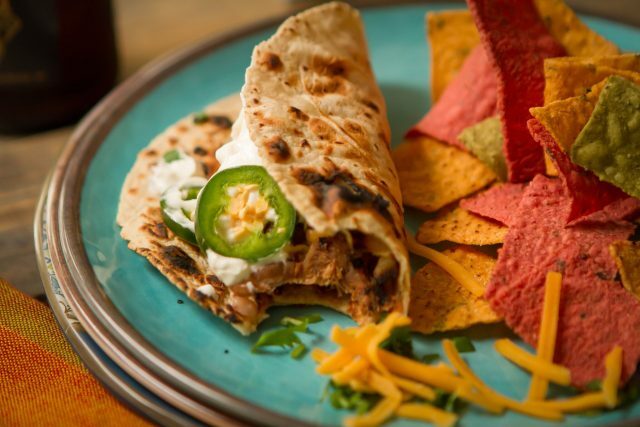 For those who appreciate a crunchy taco shell and that all-American filling of ground beef with cooked Camellia Brand Pinto Beans, this classic’s for you. 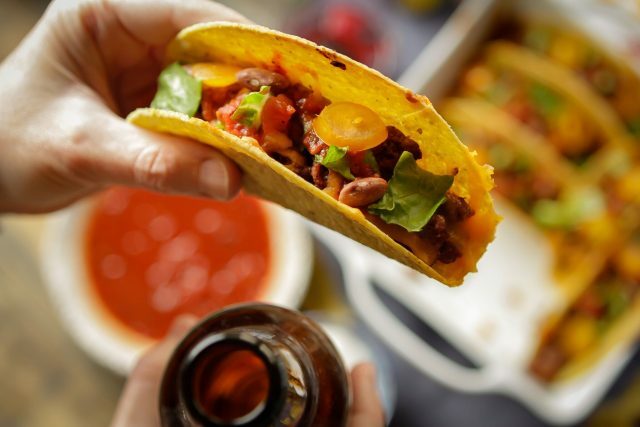 Perfectly seasoned (no need for store-bought taco seasoning with this easy recipe), the filled tacos are topped with shredded cheese, baked till hot and melty, and then crowned with crisp shredded lettuce, salsa, sour cream and whatever else your heart desires. Be forewarned: the kids will inhale them all, if you don’t get your hands on them first.